← All that glitters is GOLD! MY Turkish Airline’s A321-232 jet banked smoothly to starboard to begin its descent to Barcelona on the Meditteranean coast of Spain. Barcelona gleamed in the golden rays of the morning sun and looked like a city bathed in gold. The spotlessly clean modern airport was a joy to go through. Immigration was fuss free and my luggage appeared in next to no time on the carousel. As good as Singapore’s Changi International Airport. From Terminal 1, I took the complimentary green bus to Terminal 2. There, just outside the entrance, a convenient A2 bus cost only 5.30 Euros to bring me right to the city center near the Universitat de Barcelona in about 30 minutes. From the bus stop, it was a short stroll to the 4 star plus Hotel Petit Palace Museum at 250 C/Deputacio. I really recommend this high tech and modern hotel when you visit Barcelona. The staff are very helpful and friendly with a cool reception that looks like a studio of modern art. My cheery room was very well equipped with multi-coloured psychedelic furniture, and they even loan you a Dell laptop computer with complimentary internet access. As a bonus, the bathtub has a jacuzzi to soak away your jet lag, plus there is also an exercise bicycle provided for you to work out after your gourmet feasting! They also have a Sauna and small Gym. I went to the Gym every morning at 06:00. It was great! The breakfast with Jamon and Spanish specialities is also very good. The location of this hotel is also excellent. 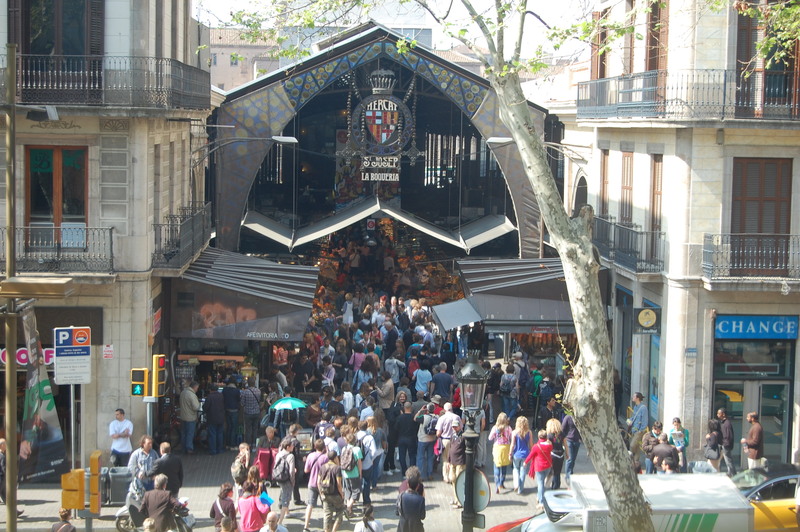 Nearby are many small restaurants and Tapas bars. 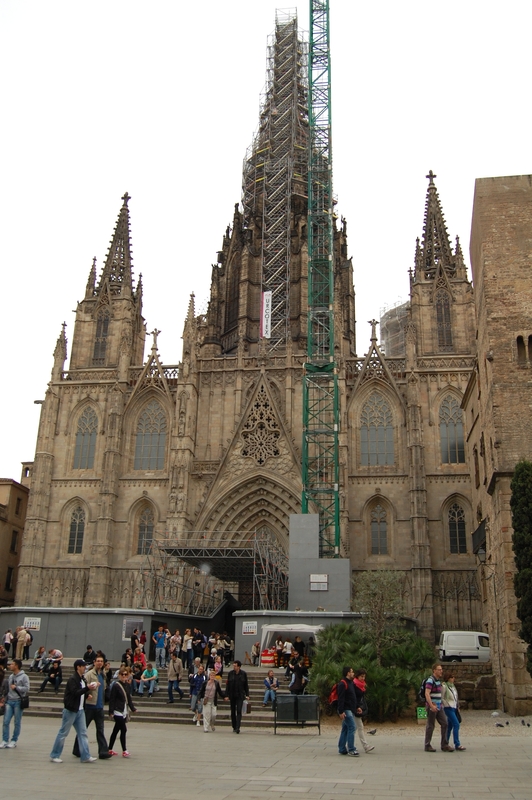 Some cater to the Barcelona University students so they are not expensive. 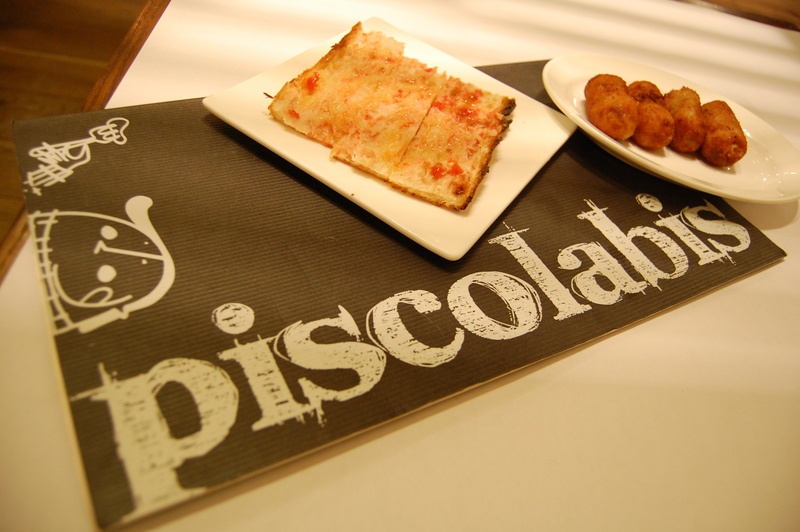 For lunch today, I went to the Piscolabis Tapas Restaurant. Adrian, the Manager made me welcome and in next to no time, I was feasting on L’Escala Anchovy & Bonito Montadito, ueber-crispy paper thin Tomato bread, potato Croquettes that looked like cute cuddly bolsters stuffed with Iberian Acorn Ham and Burrito filled with diced chicken, guacomole and melted cheese. It is not “per se” a gourmet Michelin starred restaurant like my favourite 1 Michelin Star “Moments” in the Mandarin Oriental Barcelona, but it is very yummy nonetheless. A very tasty and satisfying family friendly restaurant! 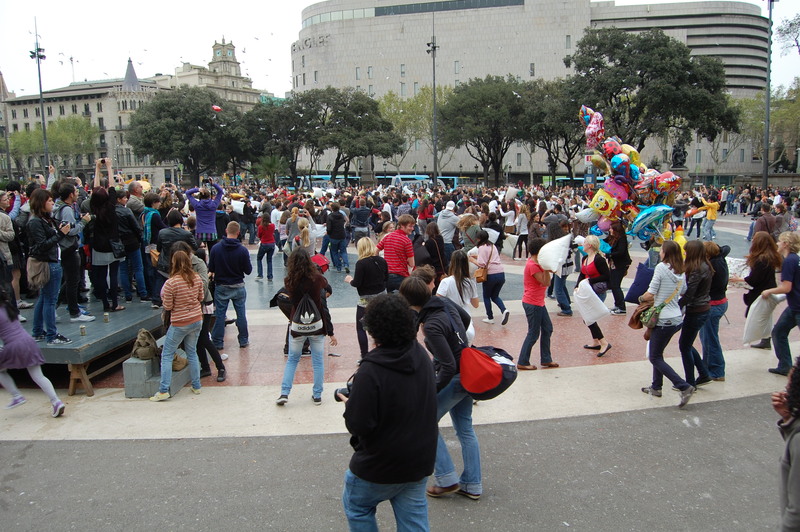 Later in the afternoon, I took short walk to the Placa de Catalunya which is the Corazon (heart) of Barcelona. Here you will see splendid and imposing fountains and greedy, plump pigeons, plus lots of people both locals as well tourists. From the Placa de Catalunya it only took 10 minutes to walk to La Rambla! 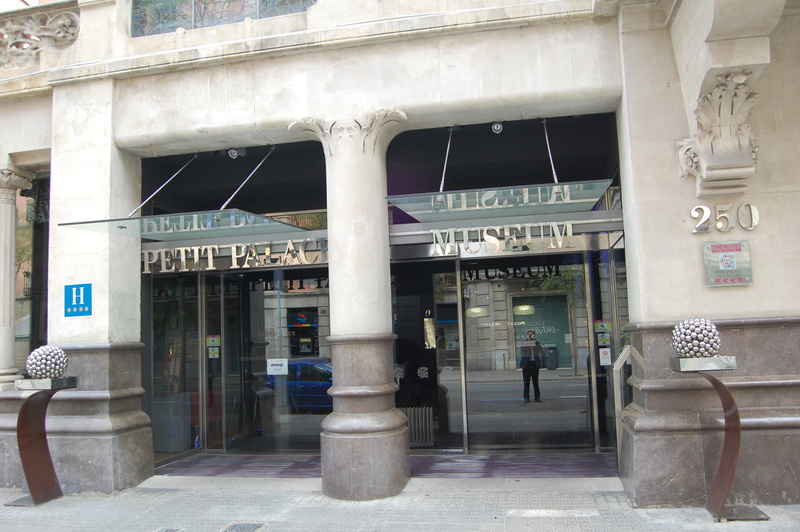 Making my way back to the Hotel Petit Palace Museum, I arrived at the Placa de Catalunya. The clock struck 6pm and suddenly hordes of laughing, happy teenagers and even older people started attacking each other with all manner of pillows until the feathers flew like clouds of snow flakes! It was very boisterous and good natured as the pillow fighters shrieked and squeeled with happy, merry laughter. I joined in, of course! Ha! Ha! 1 Response to Brilliant Barcelona! Glad to read of your range of vibrant experiences!